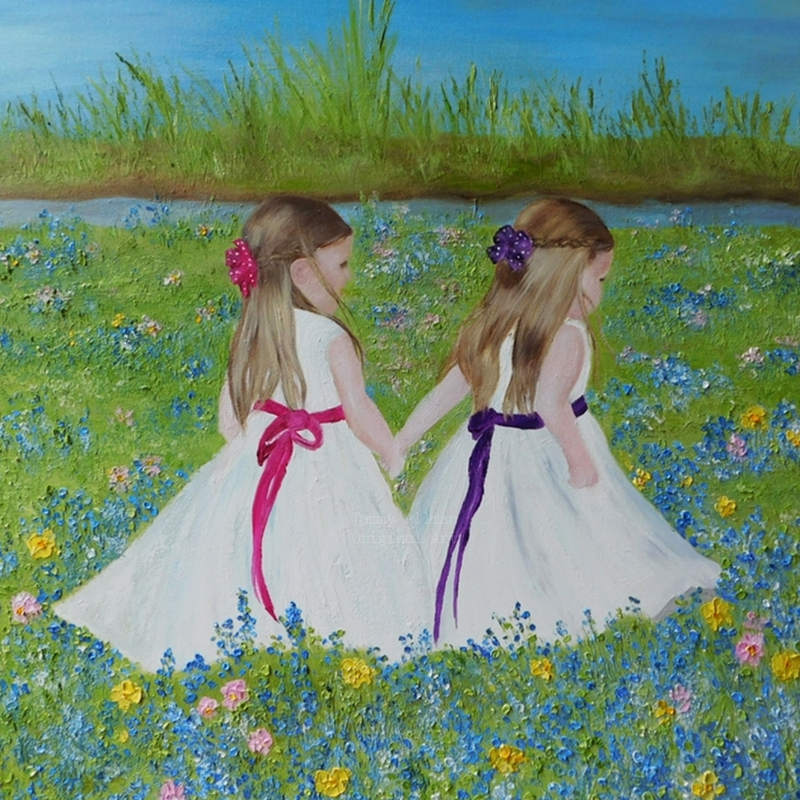 The photo above is a custom painting I did for a client which is sold od her little girls in a flower field. 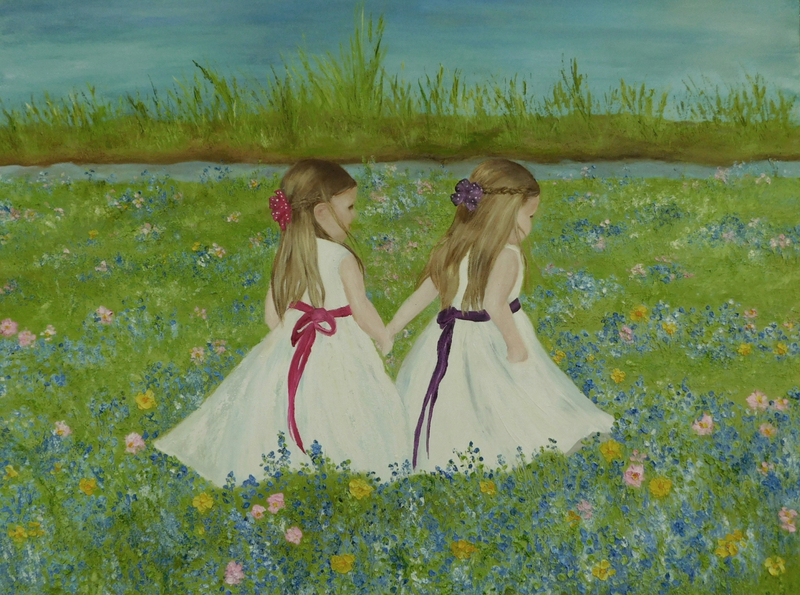 I would love to paint your favorite photo of your children and make it into a piece of art that you can enjoy for years. Send me your favorite photo of your children or grandchildren. Make sure the photo is clear and not blurred. Send in a size 800x 1200 or above. Choose your canvas size. Your painting will come on a gallery heavy braced canvas unless your wanting to use a frame and then it will be painted on a studio canvas. Please place in notes upon ordering. I will send you photos during the process so we can make the changes you like before shipping. Please allow two weeks for your custom painting to be completed and allow the oils to dry. Shipping is based on 24x36 and up so if your ordering a smaller size please contact me so I can adjust your shipping. Please convo me for other sizes and I will put up a custom listing for you to purchase if not listed above. Thank you for visiting my shop and I am excited about you becoming a customer at Kenzies Cottage!! All Rights reserved to TammyAllmanArt. This image cannot be used in any form without a license from artist. Copyright laws apply internationally.